Part of the "Storyworlds" series, this pack contains the four "Animal World" Stage Two stories, about animal characters. 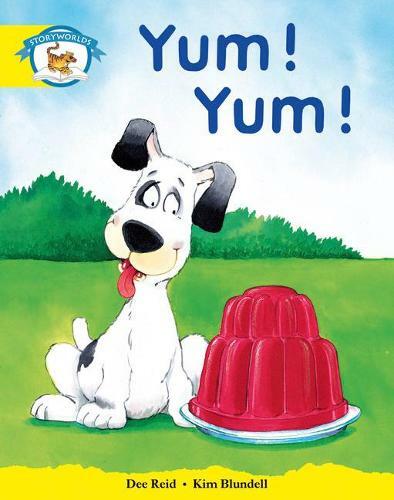 The stories are "Yum! Yum! ", "Bingo Wants to Play", "Bingo and the Bone" and "The Big Surprise". Each stage of "Storyworlds" provides a carefully structured introduction of words and language. The different worlds ensure that these are introduced and practised in a variety of contexts. Stage Two offers the "springboard approach" - developing the role of the young child as an independent reader, whilst retaining some support offered by the experienced reader. Twenty-two new key words are introduced. The opening page of each story provides simple text for the teacher or older child to read. The child then reads the rest of the story. The repetitive language allows for the confident development of word-recognition skills.